For those who are uncomfortable with using the enema kit, psyllium husk or flaxseeds are an alternative. You can safely juice fast for extended periods using psyllium husk. The substance is a bulking agent (mucilage). It swells within the intestine to a gel, helping to absorb toxins and speed transit time of waste through the intestine. This reduces the toxic build-up that can occur during juice fasting. Both psyllium and flaxseeds contain a demulcent, which is an agent that soothes and protects the lining of the intestine. It also reduces occasional diarrhea that can be caused by fruit juices. 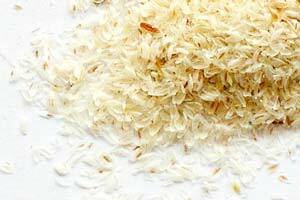 The psyllium eliminates constipation upon breaking the fast. Two or three teaspoons of whole psyllium husk or two teaspoons of flax seeds a day (available at health food stores) as a regular supplement to a diet or while juice fasting can be beneficial. A drawback of using psyllium or flaxseeds during a fast is the mucus-forming effect that slows down the healing process. Using psyllium while on a water fast has a definite sinus-clogging effect. The enema kit is still the best for assisting healing. Using psyllium husk and flaxseeds to help cleanse the colon is a compromise. Dear Tom, I am planning to go on a 7-day juice fast with psyllium husk as instructed in your article. Is it also necessary to replace the beneficial bacteria when breaking this type of fast? If that’s necessary, when should I begin to consume the capsules (I have access to capsules only) – on the 1st day I break the fast? Yes take the beneficial bacterial in capsules for 3 days after the fast. I am about halfway through what will hopefully be a 40 day water fast. I heard that it is a good idea to do a colon cleanse after a fast to rid the body of any build-up that was not released during the fast. I purchased a kit from Blessed Herbs and they recommend doing a 5 day juice fast with the use of their toxin absorber, which contains psyllum seed husk, bentonite clay, peppermint leaf, and apple pectin. I was already planning on doing a week on juice after the 40 days on water. Will it be beneficial to go ahead with the colon cleanse right after as well? I always recommend and enema at the minimum a few time during a water fast. Any food or the last meal sits in the colon. Fasting on juice of water is the best colon cleanse. No need to do it afterward. But hey give it a try, this is all about seeing what works and every one is different. On my 30 day water fast i did take oral enemas 1 in every 4-5 days, even after day 21 on my fast i was still passing foul waste that had been lying around in the colone and intestines, it would have been more benificial for you to do the colone cleanse at the start of your fast. best wishes on your fasting journey Keith.